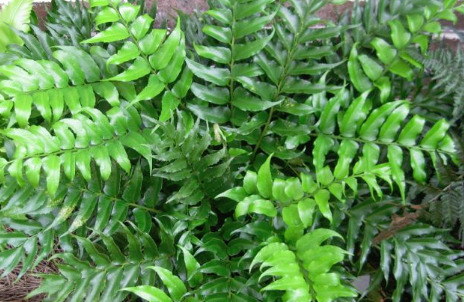 Popular for its hardiness and handsome foliage, this fern makes an excellent groundcover or border edging in shady locations. Stiff, erect dark green shiny fronds of holly-like leaflets with coarsely fringed margins. Adds great texture to container plantings. Evergreen in mild winter climates.